Conversions, healing and deliverance in the jungles of South Asia! A seven-member team from Bibles for Mideast returned victorious last week from an exhausting but exhilarating mission trip in South Asia! Many thanks to all who held them up in prayer. High and deep in a remote, thickly-forested region of South Asia, two Bibles for Mideast missionaries have lived and worked among a group they call ‘jungle people’ for close to two years. Despite the area being infiltrated by sorcerers, witches and communist terrorists, several locals had made decisions to join the Kingdom of Christ and a small underground ALG Church was born. So they did the best Kingdom logical thing: they declared a five-day period of fasting, prayer, house visits and gospel meetings. On hearing of the plans, Pastor Paul, ALG pastors Peter Haneef and James Irshad and four other Bibles for Mideast evangelists decided to join up with the missionaries. Simply getting there involved days of demanding travel, much of it on rough, stony roads and paths inaccessible to most vehicles. At one point they were stranded by torrential rains at a forest station near the foot of the final pathway up to the people they hoped to reach. 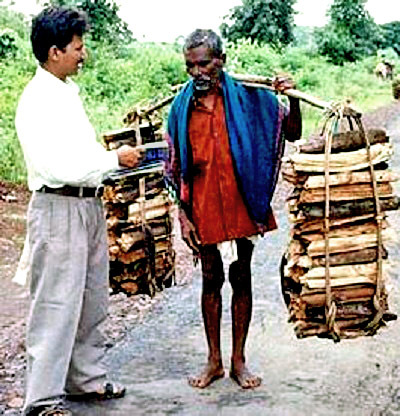 As God would have it, the forest officer is a strong believer in Jesus, stays in fairly regular contact with the hilltop believers, and gladly sheltered, fellowshipped with and prayed with the evangelists. The plan was for some of the hilltop believers to make the three-mile trek down the mountain to meet the visitors and accompany them back up to where they lived. As the rains, now accompanied by thunder and lightning, continued, dangerous rock and mudslides began rolling down the mountain. “Our missionaries and believers could not come down from the hills,” Pastor Paul explains. They thought they might have to abort the mission. “Physically we all were tired, but spiritually we were strengthened,” Pastor Paul reports of the ascent. The original plan had been to stay among the people for five days: praying and fasting each morning, visiting in people’s homes each afternoon, then holding gospel meetings each evening. While they kept to the prayer and fasting even while and after climbing that first day, due to fatigue they canceled the afternoon visiting and evening meeting. Instead they pretty well passed out on floor mats in the hut they stayed in, but woke refreshed the next morning. The news of course spread quickly and by that afternoon, all of the houses in the area opened their doors wide to the missionaries and their message. Many more attended that evening's meeting. Communist terrorists have a strong influence in this region, forming almost as dire a threat as ISIS. In a wondrous God-twist, the landslides which had so threatened the evangelists’ trip up the mountain had also completely buried and washed away the terrorists’ collection of landmines. Shocked at their sudden loss, the terrorists still sent agents to spy on the church’s evening meetings. On the third day, the believers meetings and visits went according to plan. That evening, one of the communist terrorists unknowingly stepped on a landmine planted by one of his comrades. Placed to explode when the missionaries walked towards one of the villager's homes, it instead nearly blew apart the terrorist. Severely injured, he had no chance of getting to a hospital in time to be saved. Believers who witnessed the explosion told his friends to bring him to the gospel center for prayer. They refused at first, but the locals persisted until they relented and brought him. His friends, now totally free of misgivings, followed suit. They then warned the believers of the many other landmines they had planted all around the prayer hall. After the whole group prayed together again, the former terrorists went out and, under the direction and leadership of their healed comrade, located and removed all the hidden landmines. On the fourth day, Sunday, most of the villagers attended the worship service. Everyone who did confessed before the Lord and accepted Him as his or her personal savior. That afternoon, the team visited all the remaining homes. One of those happened to belong to the village sorcerer. She had a giant black idol as her ‘goddess’, the villagers explained, and when possessed, would begin to shudder violently. Then, taking hold of a huge sword, she’d find a rooster and kill it in front of her goddess. Screaming, she would proceed to drink the animal’s blood in hopes of pleasing the idol. Now completely demonized, she’d ‘tell the fortunes’ of those in attendance and dictate what they should and should not do to be blessed. All would obey. Unfazed by the stories, the missionaries invited themselves into her home and shared their testimonies and the message of the gospel. They made it clear ALL worship and praise must be to the one and only Creator and Savior, Jesus Christ. "He came down from heaven, suffered, was crucified on the cross of Calvary and died for our sins," they boldly told her. "On the third day—which was around 2000 years ago—He rose from the dead and still lives for usI In Him we have salvation and eternal life. Accept Him as your Savior." Suddenly she heard a loud, horrifying noise. She looked to see that her precious idol had somehow been smashed to pieces and now lay scattered all over her floor. In absolute terror, she ran out to find the pastors. With the believers, all were deep in prayer at their evening gathering. She rushed in among them and "prostrated herself before us,” Pastor Paul recalls. As she trembled on the floor in fear, the women prayer warriors gathered around her and helped her up. She explained all that had happened and begged them to pray for her. Please keep this growing gathering of believers and the missionaries working among them in your prayers!